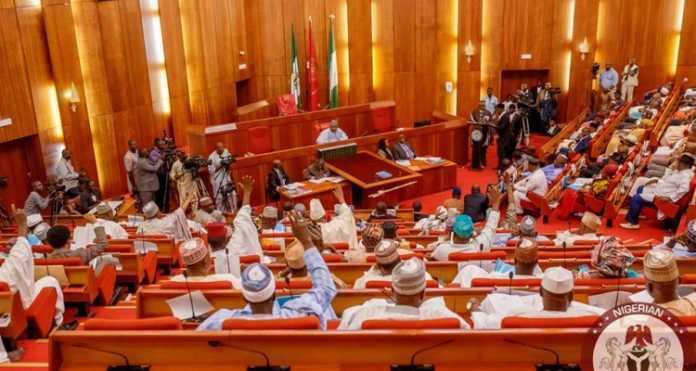 OrderPaperToday – Following the sack and redeployment of some top officials of the Nigerian National Petroleum Corporation (NNPC), the Senate has demanded broad reforms of the corporation and its subsidiary, the Pipelines and Products Marketing Company (PPMC). In a statement by its spokesman, Senator Aliyu Sabi Abdullahi (APC, Niger), the Senate also suggested that the sacked officials be prosecuted to serve as a deterrent to others while noting the resolve of the NNPC to retrieve some N11billion worth of products from Capital Oil involved in the alleged misappropriation. The upper chamber “advised that NNPC should go beyond the sacking and redeployment of a few officials but initiate a comprehensive restructuring of its operations which presently allow officials and other firms to appropriate national resources for their personal use, thereby contributing to the suffering of the people. “The Senate is appalled that NNPC is not contemplating on doing something about the involvement of officials of the Petroleum Products Marketing Company (PPMC) which actually played key roles in the missing products case. The statement gave a background of the issue thus: “It will be recalled that following the Senate debate of the motion on the theft of the fuel, the NNPC sacked two senior officials and redeployed a few others. Its spokesman, Ndu Ughamadu said the sack and deployment were in line with the on-going reforms the corporation initiated to cleanse it of corruption. “The NNPC lost 130 million litres through a breach in its throughput transactions with MRS and Capital Oil. However, MRS had returned the product it sold from the stock but Capital Oil is yet to refund the 82 million litres it sold. The Missing fuel sold by Capital Oil is valued at N11 billion.